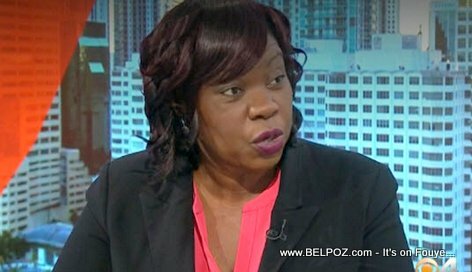 Jacqueline Charles: Michel Martelly said it back in January, No one said anything until now. Why? Miami Herald Journalist Jacqueline Charles is curious to know why is it that suddenly everyone has a problem with something president Michel Martelly said almost a year ago at a concert. 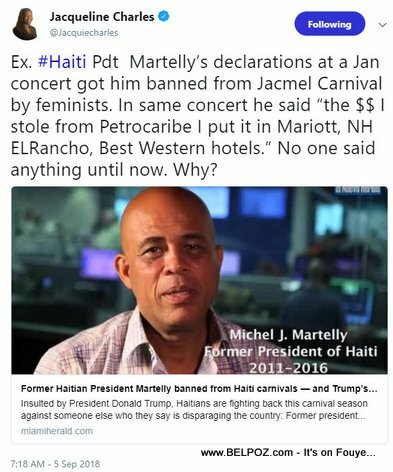 Ex Haiti president Martelly's declarations at a January concert got him banned from Jacmel Carnival by feminists. In same concert he said "the money I stole from Petrocaribe I put it in Mariott, NH ELRancho, Best Western hotels." No one said anything until now. Why?